If you are a new user, you can buy the custom domain for approx $1.32 (99 inr) for one year as a new joiner offer, but if we talk about buy a Hosting and SSL certificate it really cost much approx $100 for one year subscription, for testing purposes it's not feasible to spend this much amount. For resolving this stated issue, here we are having one of the reliable frees hosting i.e. 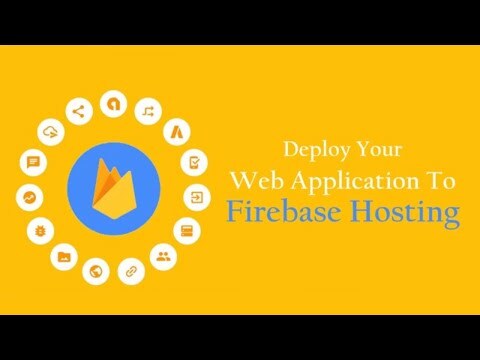 firebase hosting which provides a hosted domain name, free web hosting with SSL secure connection.Not only this if later in future you want to make your site dynamic by adding a database or any storage, Firebase includes these feature also. According to my experience firebase is one of the reliable as it's a Google product. So, now let's see a step by step guide to host a simple static website template to firebase hosting. As these steps are quite easy, it'll hardly take 5-8 minutes to complete them. This will open popup for login with your Google account so, type credentials of account which you used for creating firebase project in previous steps. This will prompt to select the project, select it by pressing Space bar key . Once done a Project will created in command line interface in current directory, navigate to project directory, here check for public folder and copy all your website files to this public folder. Now all things are done at, last we just to deploy this project to firebase hosting. So, that's it now we are done with deploying our static website to firebase hosting. Are you looking for Hosting any Django Project ?